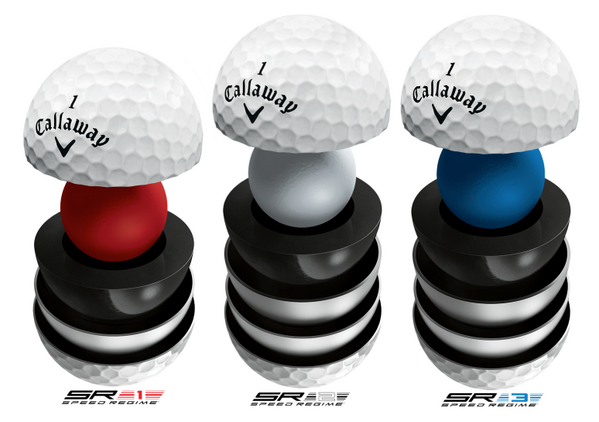 This year Callaway launched three new golf balls, the SR1, SR2 and SR3. SR stands for speed regime. Each ball is optimised for different swing speeds, the SR1 for under 90 mph, SR2 for 90-105mph and the SR3 for above 105mph. Recently we gathered a group of golfers together and got them to hit one dozen balls with each model to see how they would work with their swing speeds. Each golfer warmed up before hitting and then proceeded to hit a dozen balls with each model. 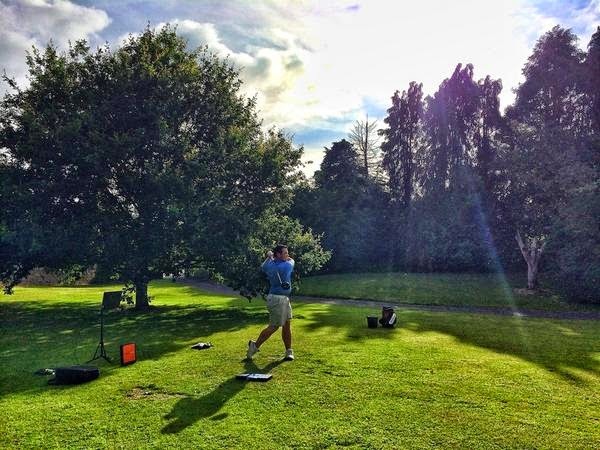 The results were recorded using a Trackman launch monitor. We picked a dozen balls because golf balls come in packs of 12 and on average a golfer tends to play 12 shots with a driver during a round. Going through the results we can see that the clubhead speed average for each golfer remained very consistent. This indicates a good consistency for the swings throughout the test. Also noted for all four golfers the SR1 was the worst ball for each of them. Given that this ball works best with speeds of under 90 mph, and our test subjects were all above that, this is what we would expect. However the ball what worked out best for each of them was not what would have been expected. For Golfers A&C both who had speeds of over 105mph the SR2 worked best for them. Golfer A had 276.9 yards with the SR2 and 273.5 yards with the SR3. Golfer C had 276.5 yards with the SR2 and 269.3 yards with the SR3. Why did the SR2 work better for them? Both golfers have launch angles a bit on the lower side, both around 9 degrees, as a result they need a little more spin to keep the ball in the air. The SR2 provides a little more spin and gave them both better ball flights and longer distance. On average both had only a little more spin, but the mishits with the SR3 didn't fly as well as with the SR2. Also, both had also more ball speed with the SR2. For Golfers B&D both who had speeds between 90 and 105mph the SR3 worked best for them. Golfer B had 257.1 yards with the SR3 and 250.9 yards with the SR2. Golfer D had 251.2 yards with the SR3 and 240.9 with the SR2. Why did the SR3 work better for these players? Both players benefited from the lower spinning SR3 ball giving them more distance. Golfer B also had a higher launch with the SR3 which along with the lower spin gave him more distance. Golfer D's spin was a little on the high side, even with a low launch, as a result the lower spin of the SR3 gave him more distance. The Callaway Speed Rated balls are an excellent golf ball giving good results to a range of players. The SR1 is best suited to golfers with lower swing speeds.The SR2 suits players looking for a little more spin and the SR3 suits players looking for a little less spin. This little test with a small sample of players also shows the value of using the right ball. The three balls gave our four players different results. Just a small bit of testing can gain you a little more distance with the right ball. Not a great idea to reach into the bag and grab any old ball!! Comments and questions are greatly appreciated.